This book reviews, updates and enhances the basic concepts surrounding the academic theory and practice of Integrated Marketing Communication (IMC). Since the introduction of IMC in the late 1980s, the concept has spread around the world. In that expansion, many authors have written about IMC; practitioners have adopted and adapted the concept to fit their own market situations. Further, dramatic changes have occurred in the technologies used in marketing communications which consumers have accepted and employed in their consumption of marketers' messages and incentives. Thus, there have been dramatic changes in how IMC was initially envisioned and how it has developed over time. This book identifies and discusses these changes, how they have occurred and what they mean going forward for all types of marketers around the world. Thus, IMC, and indeed integration of communications at all organisational levels is an essential in the 21st century organisations. 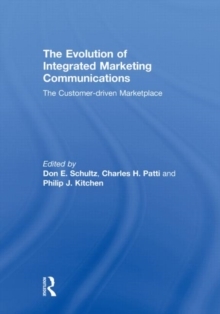 This book was published as a special issue of the Journal of Marketing Communications.